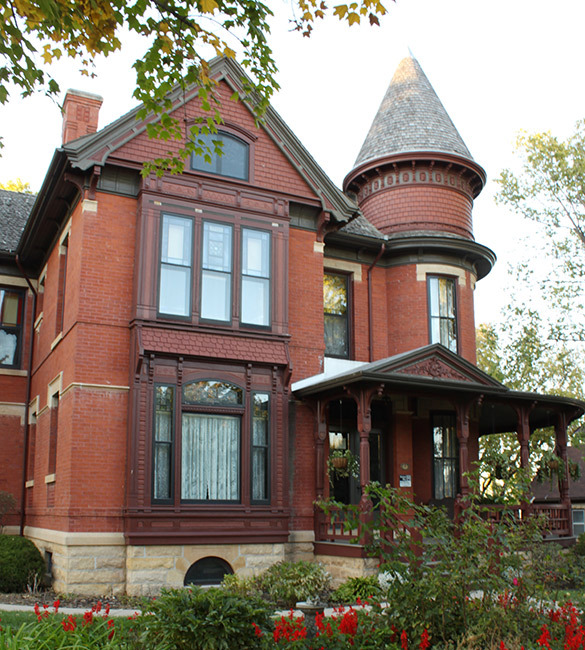 This stately 1887 Queen Annestyle home along Center Street was once the home of Governor John Lind, the 14th Governor of Minnesota and the first Swedish-born American to serve in the U.S. Congress. In addition to his political service to Minnesota, he was the U.S. Ambassador to Mexico and has been honored by the King of Sweden with medals and decrees that are proudly displayed in the home, along with large paintings of Mr. and Mrs. Lind, beautiful woodwork extending to the elaborate staircase, an old piano and other elegant furnishings. It has been restored to its original beauty, including the expansive front porch and distinctive tower. As proof of its lovely restoration, the house is on the National Register of Historic Buildings. The home is open for tours and special events and can be rented for receptions and other functions.